I love solving problems, which is why design is the perfect job for me. I’ve worked in lots of different capacities as a designer – at agencies, in-house at large corporations, freelance, and with start-ups. Each role has had different challenges, be it managing an internal design team for Orange, helping start-ups get their brand positioning and user experience right, or designing ambitious storytelling projects for broadcasters. Embedding design into your overall strategy is essential for maximising its value. I work with businesses, charities, art organisations and agencies, and help them consider their needs, and those of their audiences. Through research, workshops and communication, I gather the information I need, to produce design solutions that will work for you and your audience. Whether that’s brand strategy, usability consultancy for your website or app, or complete, from-scratch design work to kickstart your product or service, I produce design that works. I also semi-regularly speak about design at conferences and small events. 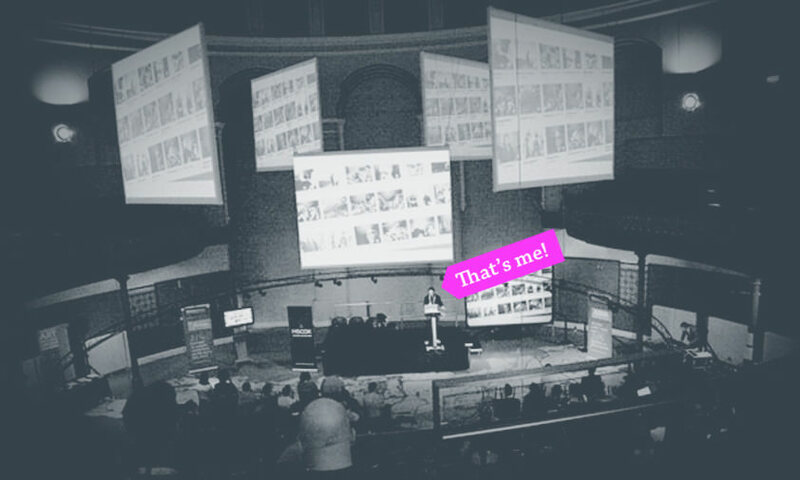 I have spoken at Ignite, Bettakultcha, Future of Web Design and the Leeds Digital Festival. I have nearly two decades of experience. Everyone who I work with is integral to the design process – I don’t design in a bubble, and close communication with my clients is vital to the success of my work. Working with me is revealing, productive, and fun. But most importantly, it gets results. Would you like to discuss hiring me? Do get in touch. It would be lovely to hear from you.